Enter the enchanting world of Crystal Forest slots and discover magical winning opportunities! Spin to Win big cash jackpots with the Cascading Reels feature! You could win up to 50 FREE Spins too! 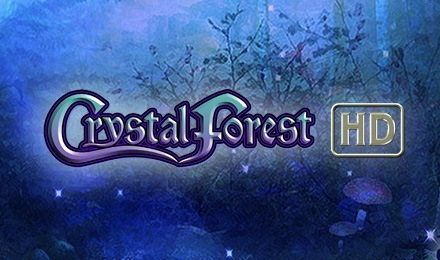 Enter the enchanting and Magical world of Crystal Forest slots! This dark and mystical world is filled with poison frogs, fairies, shiny crystals, dripping wax candles, spell books, and toadstools. Crystal Forest includes the Cascading Reels feature for fantastic chances at landing winning combinations! If you can get 4 cascading reels in a row you will win 7 free spins! It is possible to retrigger the Free Spins feature for a chance to win up to 50 free spins! Start spinning and the magical creatures in the Crystal Forest will help you win!